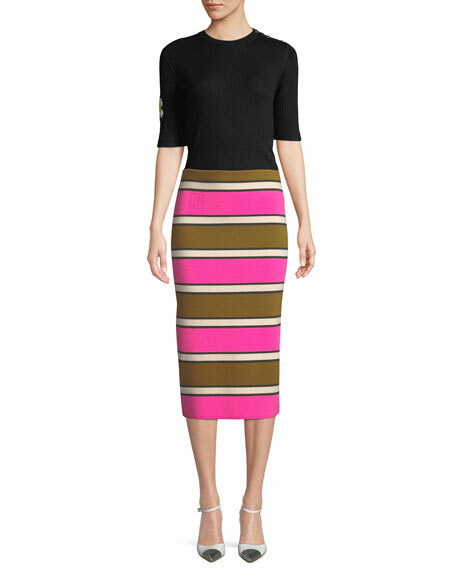 Marc Jacobs striped cashmere skirt. For in-store inquiries, use sku #2461645. This little white MARC by Marc Jacobs sundress features removable straps to suit your mood and the occasion. Marshmallow eyelet with tonal underlay. Straight, strapless neckline. Seamed waist. 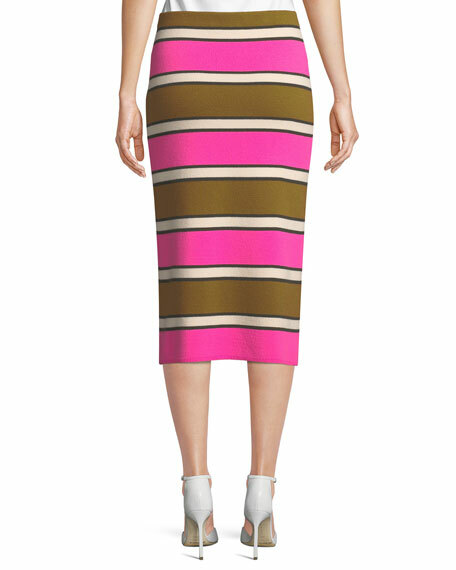 A-line skirt; scalloped hem hits above knee. Back zip. Cotton. Imported. 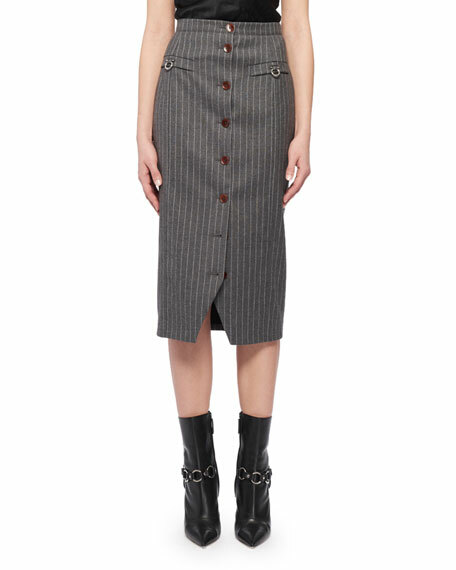 Altuzarra wool-blend skirt featuring pinstripes. Button-down front. Straight silhouette. Flap pocket details. Mid-calf length. Front vented hem. Virgin wool/cotton/nylon/spandex. Made in Italy. 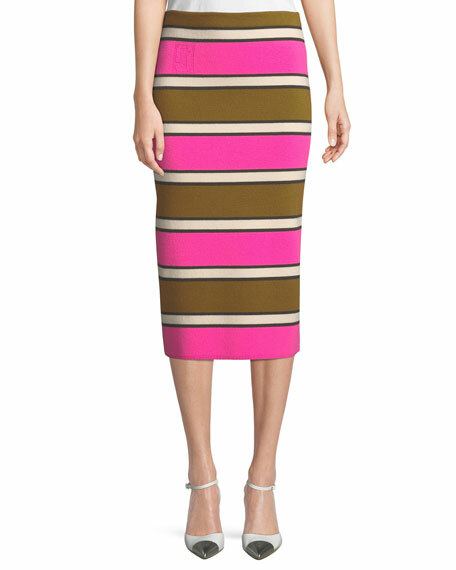 Altuzarra skirt in calf leather. Partial front zip. Side slip pockets. Pencil silhouette. High side slit. Knee-length. Lining, polyester. Dry clean. Made in Turkey.